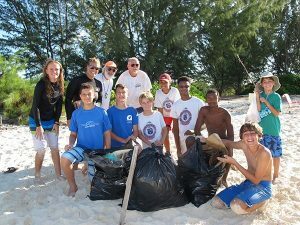 As you have been informed already by Ms Rankin, many of our students have volunteered to participate in a clean-up of some of the island’s beaches tomorrow. Please note, however, that the clean-up previously planned for Long Bay will not be happening; any students affected should re-allocate themselves to a new site today. We apologise for any inconvenience. On Wednesday next, we begin our popular Reading Programme, wherein each of our younger students is paired with a senior student mentor in order to increase interest in reading and boost overall reading skills. The Reading Programme has a long tradition at the Collegiate, and takes place during the school timetable roughly once a month. The Collegiate is proud to support many different charitable concerns. One event its students like to join in is the National Cancer Society’s Annual Walk-a-thon. This will take place on October 6th, 2018 from 5:45am. The meeting point will be at Graceway IGA Gourmet for the walk to The International School and back. Registration will begin next week. Sixth form students will be outside Brayton Hall with sign-up sheets for students to register themselves or their families. The deadline for registration is September 27th, and items will be distributed the week of the cancer walk-a-thon. 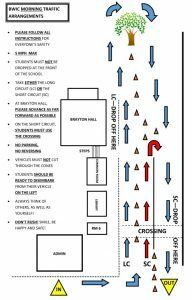 I would like to remind parents AGAIN of the arrangements for the safe delivery of our students to school in the mornings. Please see the attached instruction sheet. This is a similar system to what we had in place before last year’s hurricane, and there is no reason why it should not work successfully, if everybody familiarised themselves with the system AND FOLLOWED THE RULES. It is very disappointing that senior staff on morning duty have to play the tiring game of cat and mouse with a small number of drivers who choose to disregard instructions and child safety just to save themselves a few seconds. Finally, please note that that Friday 28th Sept is a national holiday (National Youth Day), and while we always relish the company of your children, the school will, unfortunately, be closed that day.